For decades people have purchased life insurance policies to fulfill a particular purpose. Now, due to tax reform and other factors, some people are rethinking their insurance policies. 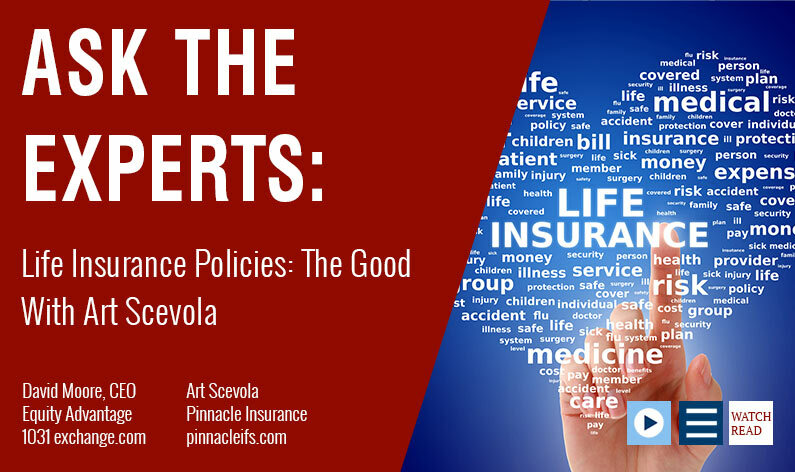 David Moore of IRA Advantage talks with Art Scavola of Pinnacle Insurance about the life settlement marketplace and the option of selling life insurance policies that are no longer serving their purpose. Art Scavola: Life insurance provides a financial solution that typically is not available through other forms of investments, because you’re dealing with dollars that are going to be delivered at an unknown future date for a discount to the actual amount of dollars that are delivered. Of course, for many years people have used life insurance for all of the standard reasons: family, breadwinner replacement, and so forth. However, due to certain circumstances in the marketplace, such as low interest rates, tax reform, the capacity that exists in the investment community, the appetite that exists in the investment community, life insurance policies may no longer be as necessary as they once were, or needed at all. There are various situations where that may be the case. One would be businesses, particularly businesses where there is either a dissolution, a sale or a liquidation of some form, in which the principal players are 65 and older, and they are basically at a point where there’s not the need to carry forward the life insurance that the business held on that individual. David Moore: So, in this situation, you’re really looking at the context of this policy, and trying to understand the purpose and the worth. Essentially asking: What’s the highest and best use for it today? Art Scavola: Exactly. The highest and best use may no longer be to keep paying for that policy, if my business isn’t going to do that anymore. And then someday it pays a certain death benefit that’s no longer critical in the planning, especially since the business is no longer my business or I’m no longer the executive that has a certain value to the business. And what has emerged is a very robust life settlement marketplace among many investment funds that are interested in legitimately acquiring a policy that would be abandoned otherwise. That could be a term policy, which has no intrinsic value whatsoever, only a death benefit value, and if it meets certain standards, then it might be something of an asset to that business owner. That could be the individual principal in the business, or the business itself, who could then turn that policy into actual current capital. All of this essentially means selling your policy in the open marketplace. Art Scavola: There are a lot of people trying to jump into this due to tax reform, the low interest rate environment, and underperforming policies. Underperforming policies means that somebody bought it and they didn’t pay adequate funds. The life settlements marketplace is a mature marketplace. There was a stigma in the 1990s against this type of process when we had the AIDS epidemic, and a lot of people were in the life settlements marketplace that shouldn’t have ever been. That gave it a bad name. Art Scavola: But today the life settlements business is a robust and legitimate business. We represent a firm in Orlando, Florida, and they speak at estate planning counsels all over the country, the top of the tables, the life insurance industry’s best-producing people; we have a group of people who have expertise in helping to evaluate and then fairly bid out a product, rather than a single buyer approach, which is what you’ve probably heard about on television. Most of the time those ads reflect a single buyer who will take your policy for X amount of money. But the reality is that this is a very competitive marketplace, because these products that are being bought are assuring an ROI to the purchaser, which is their benchmark. So if the purchaser wants an ROI of let’s say, 10 or 12 percent, it’s going to be measured to a certain expectancy on the performance of that policy. That’s primarily driven by current medical, current financials of the carrier, current financials on the policy. No new examinations are ever required to acquire a bid on an existing life insurance policy. David Moore: The good news is If you want it, you can explore this possibility. You’ve got options there. If you don’t need it and you want to sell it, you’ve got that option. Art Scavola: That’s exactly right. And it’s barely known to a lot of people that there is a legitimate marketplace for a business to put forward a policy that they’re no longer going to be paying for on a key person or a stockholder, and that they would otherwise maybe just neglect and allow to lapse, especially in the form of term life insurance. David Moore: But you need to take advantage of the experts in your life to see what options are actually there and what is going to fit your needs. Don’t just react to one of those ads on television or radio that say they want to buy your policy. 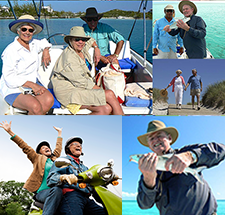 Truly understanding what your retirement options are takes the help of an expert. A simple call to IRA Advantage will get you the advice you need. Give us a call today: 503-619-0223.